We had a busy weekend, with Fynn's hockey, Sophie Acro (acrobatic class) and a birthday party. Today we took the kids up to Tube Town just to have some fun and not be on any sort of schedule. 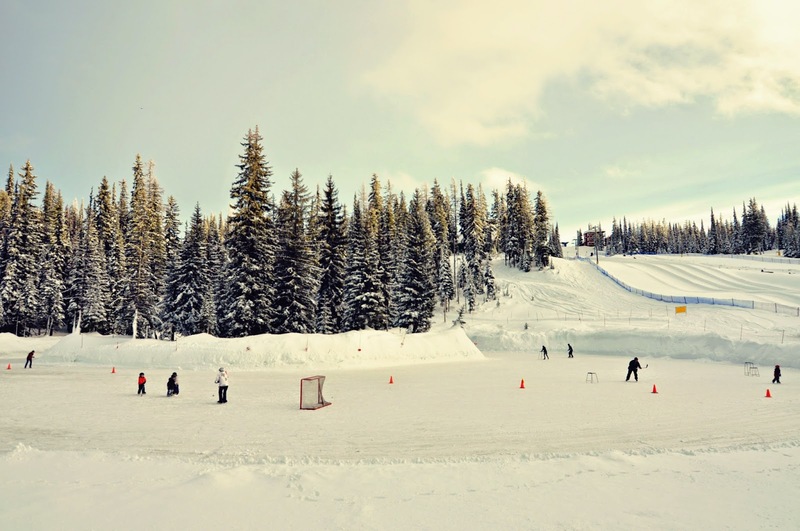 This photo shows the skating pond in the foreground and the Tube Town hill in the background. We have a "ski" place close to us (if it can be called that in the middle of the United States) where they manufacture snow so people can ski. We have never been, but talk about giving it a try.